Plivo has been growing at an exponential pace in the last few years. Such rapid scaling also means hiring at a pace which is faster than ever before. Now combine this need for pace with skill sets that are niche, and a benchmark to hire only ‘A’ players - one is looking at a complex HR challenge, which I am sure many other high-growth companies in the valley are facing today. Plivo’s mission is to enable businesses to integrate communications into applications, by way of which they are able to engage and interact with their customers. To power that, our platform supports SMS, Voice Calls (any endpoint - PSTN, Browser, Mobile apps, WebRTC, Toll-Free). A strong engineering culture is at the core of our DNA - hence our aim is to hire the absolute best engineers in the industry. In our market, this is a rare skill set to say the least. Given the scarcity of talent, we had to figure out an innovative way to reach out to all the people that were available, in a personalized manner. Our target audience was developers with an experience range of 2-10 years who were tech-savvy, with a specialized domain expertise in Voice & SMS. Research showed that this niche group was not really active on Job Portals - but relied more on referrals, word-of-mouth and personalized communications. 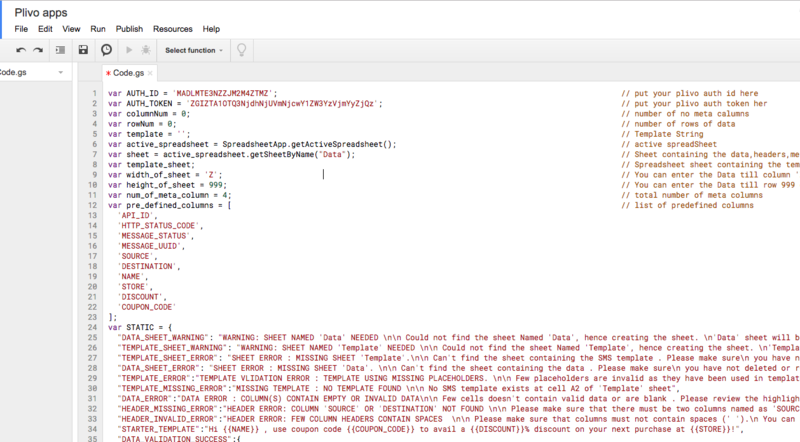 Around the same time, we had announced the availability of SMS Merge functionality on Google Sheets using Plivo SMS API. We started gathering data of all the engineers with voice skillsets from various sources and started populating the same on a google sheet. 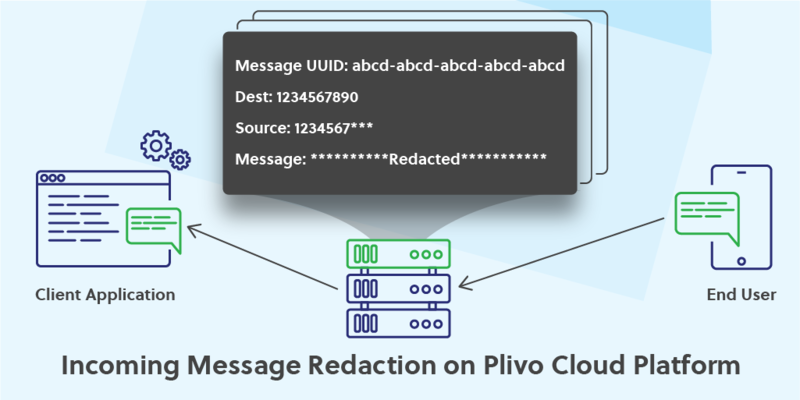 The code was already made available at Github https://github.com/plivo-dev/google-sheet-messaging-script. 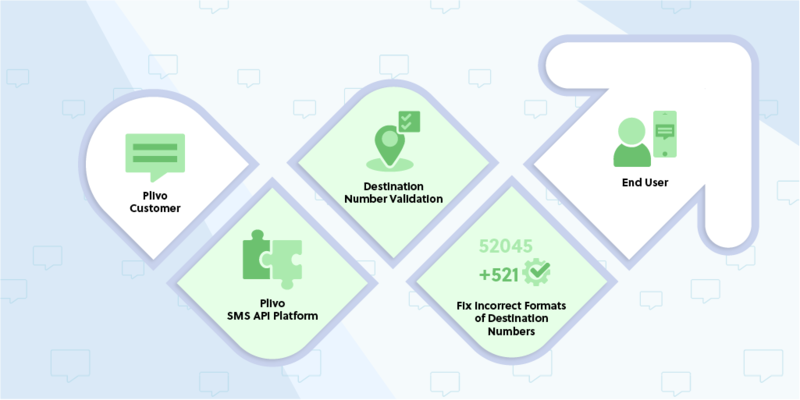 More details on each line of the above function, along with tips on creating the message and making an API call for sending message are available in our earlier Blogpost on the same topic. Overall the workflow worked smoothly and the SMS campaign not only achieved high delivery rates, but also improved the overall response rate (Number of candidates reached out vs. people who clicked the links) by 21%. We also got few applications from people who forwarded those SMS messages to their peers. Few candidates actually asked us during the interview process about these personalized messages, and the fact that we were effectively using our own technology across functions created a positive impression about our culture. Could this be a standard/repeatable model ? I think this is a very inexpensive solution when it comes to mass campaigns. I’m pretty sure there will be many organisations that are in need of such simple hacks without spending too much money and at times to test the waters. This application for sure will come in handy for such organisations. Here are some more interesting use cases I am thinking of using SMS merge application. Pre-Onboarding: Communicating with prospective hires on some of the important formalities and constantly being in touch with them. Internal notifications: Communicating with internal employees to follow up or remind about various things via SMS. Now, these are some of the use cases that comes to my mind to use SMS Merge. Could the same concept be used beyond these HR/People centric use-cases? I think the answer is absolutely yes! All it needs is a seemingly complex business communication challenge, a Plivo Account - and some out-of-the-box creative thinking!